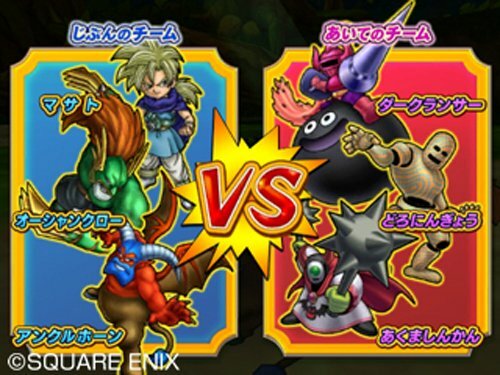 Now on ebay, get your hands on Dragon Quest Monsters Battle Road: Victory for just $40 dollars! Thats if, you buy it now. The seller has it for auction starting at $30, so anything $40 or less is a great deal! Its a brand new copy, which originally is worth around $60 dollars on Play-Asia (not including shipping costs). The item is up for only 5 days as of this post (ends Dec 20, 2010 08:20:19 PST) , so hurry if you wish to get a copy of DQMBV at a killer price! Remember, this is a Japanese game, so in order for it to play on your Wii, it either needs to be a native Japanese Wii, or have homebrew installed to play imports. Have fun monster battling! Dragon Quest Fan. Love Blogging and modding video games. I find Psychology and the universe very interesting. I like books, games, and learning new languages. I dream to travel the world and possibly settle in Japan. 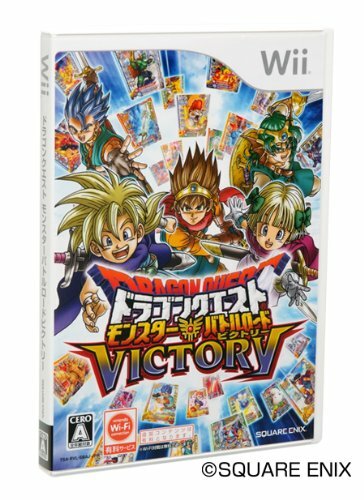 Posted on December 14, 2010, in News, other/miscellaneous, Wii and tagged battle, dragon, game, import, monster, monsters, quest, road, victory, Wii. Bookmark the permalink. Leave a comment. mauriciodownload smb3 mario and luigi? หนังโป๊I believe this is one of the such a lot important info for me. And i'm happy studying your article.